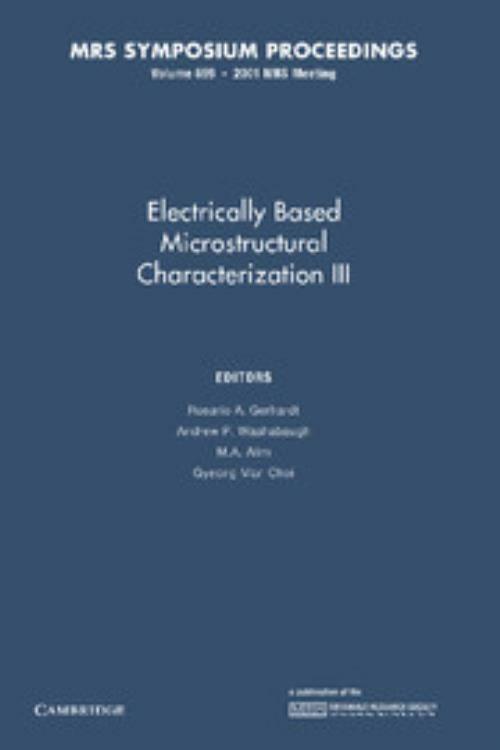 This book, first published in 2002, focuses on the application of electrical measurements as a nondestructive tool for microstructural characterization. Papers show how the usage of dc- and ac- resistivity measurements, complex impedance analysis, ellipsometry, and capacitance-voltage measurements are used to assess phase transformations, presence of grain boundary layers with different electrical response, anisotropy, mechanical degradation, and presence of defects and porosity in a wide range of materials and devices. The development of scanning impedance imaging by applying a lateral bias to an AFM specimen opens up many opportunities for simultaneous electrical property and microstructural data acquisition. This is the first time that impedance spectroscopy has been used to characterize metallic alloys in the metallic state, in the absence of liquid electrolytes. Papers focus on characterizing components in various microelectronic devices, with an emphasis on materials interpretation rather than device interpretation. Topics include: electrically inhomogeneous materials; advances in experimental methods and interpretation; microelectronic applications; metals and alloys and amorphous materials. M. A. Alim Alabama Agricultural and Mechanical University. Gyeong Man Choi Pohang University of Science and Technology, Republic of Korea.